Recently, while in a discussion with a senior executive, I asked; “What are the attributes or traits of product leaders that work for you?” He responded with a list that included; communicator, team player, business savvy and then shared that humility and other important characteristics made for exceptional product leaders. In a recent post Climbing to the Top? Bring Compassion by Bruce Kasanoff, he shared that while courage, discipline and tenacity are often cited attributes, that we need to bring compassion to leadership. Why? Just a few days ago, I was traveling and went through the typical security screening process. While re-loading by bag, storing my personal stuff and getting dressed, a gentleman beside me said; “Excuse me. This may sound awkward, but would you please tie me shoes?” Now, I’ve tied lot’s of shoes in my life. My own, my children, my wife’s kindergarten class, but I don’t recall tying another adults shoes. He then showed me his burned fingertips, explained how he had no feeling in them and they were sensitive. He apologized for wearing lace up shoes to the airport. My response was simple. “Sure, I’d be glad to ties your shoes.” As people walked by looking at me tying this guys shoes, I didn’t stop to think, but acted. Compassion incites action. As product leaders are we compassionate with those we lead and work with? Or do we bring too much of the “A-game” “hardball” image and persona to our roles and forget to be perceptive, compassionate and then act. My recent experience and the post by Bruce gave me time to reflect and recall my actions as a leader. What attributes do you possess and where does compassion factor as a product leader? Looking for a good review? Start with Five Ways to Lead With More Compassion a HBR post by Susan Cramm. Hopefully, this post will cause you to reflect as well. I know it’s given me time to reflect my simple act and I know that the simple, small acts will give a boost to others in product management and those you interact with. I’d like to hear if you agree, disagree or believe compassion is an attribute of product leadership. If you like the post, please share it on your favorite social media sites or through your feeds. In my post Wanted: Product Management, I recanted the highlights of a story shared by Simon Sinek in Start With Why – How Great Leaders Inspire Everyone To Take Action. The story of 19th century explorer Sir Ernest Shackleton is a great example of Inspiration, Action and Endurance. Shackleton a veteran of Antarctic exploration, had a desire to be the first person to cross the continent from sea to sea, via the pole. Spending almost three years in a failed attempt with another expedition, Shackleton was inspired to take action and lead an expedition. What role does inspiration play in leadership? 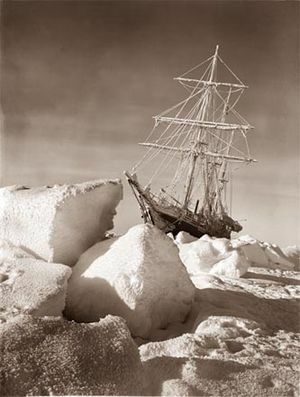 Inspiration – as defined by Answers.com is “an agency, such as a person or work of art, that moves the intellect or emotion or prompts action or invention.” Whether it was inspiration, past failure, a desire to explore the unknown or a combination of all the factors, Sir Ernest Shackleton was prompted to take action and believed the expedition was of scientific importance . Is it inspiration or desperation that prompts action? While inspiration and desperation both prompt action, I believe leaders who are prepared, utilize and learn from actual experiences, surround themselves with bright and capable people, listen to sound advise, set expectations and know how to engage others, find themselves better prepared to succeed. On the other hand, desperation is often a residual of a lack of preparation, inadequate communications, no call to action and often falls on deaf ears when ownership is superseded and driven by factors beyond a leaders control. While desperation may be a great teacher, the results may not hold a favorable outcome. Comedian and actor Jim Carrey, once said, “Desperation is a necessary ingredient to learning anything or creating anything.” The choice is yours. Action – Utilizing prior experience, a well designed plan, the right equipment, adequate funding and a crew specially selected for the adventure, Ernest Shackleton set out to explore the Antarctic on December 5, 1914. However, the crew of the Endurance never reached the continent of Antarctica. What happened? The ship became entrapped in ice. While everything was planned and double-checked, a meteorologist consulted and used during the expedition, force majeure happens. Stranded for ten months, the crew watched as the ship drifted north until the pressure of the ice floes finally crushed the ship. On November 21, 1915, the crew watched as the ship sank in the frigid waters of the Wedell Sea. As a leader, how do you react to crushing hardships and sudden changes? Endurance – While you might think that’s the end of the story, it isn’t. Without a ship the expedition resorted to using its lifeboats to safely land on a small island. Shackleton, recognizing that the expedition party needed to be rescued left behind all but five of the crew and embarked on a hazardous journey across 800 miles of rough seas to find help. As a leader, what are you willing to risk to save your crew? As a leader, Shackleton knew what he had to do. He didn’t ask for suggestions, he didn’t ask for a volunteer rescue party, he led one. Leadership is about endurance, and a willingness to step forward in tough situations. Often, it’s the survival of others that are in your hands. If you think about the leaders you admire most and are willing to do almost anything for, they are the ones that have stood beside you, in front of and perhaps taking the brunt of tough conversations when you aren’t around. While we may not be Sir Ernest Shackleton, all leaders have to possess inspiration, action and endurance to lead the expedition. What attributes do you possess to lead your crew? What areas do you need to improve on as a leader? I have reflected on this story and taken an inventory of my leadership capabilities and I’ll be better prepared to set sail for the next adventure. Please share any comments or thoughts. We’re all in the leadership journey together. I was sitting in my office eating M&M’s and almost sprayed the room with candy shell fragments laughing at the picture and thinking about the situation. The next few minutes, Brian and I engaged in rapid fire shots in 140 characters while he was cruising at 70 mph and I was uber-connected discussing Life and Technology. I walked away thinking about the Fast & Furious exchange and realized there’s some leadership tidbits, so here goes. Life – it’s generational and if you’re not connected you’re not out of date, you’re just not informed. Here’s an example. Over the weekend, my oldest son called to update my wife on his purchase of his first home. As soon as the call was over, my wife said to my teenage son, “your brother’s buying a house.” My son said; “Yeah, I know. I read about it on Facebook a few days ago. That’s old news. I saw the pictures and it looks pretty cool! It has a pool!” Little did she know that I knew too. Like it or not, we all communicate differently. But it’s more generational than you think. Leaders need to consider who works on the team, their communications style, habits and what is important to communicate. It’s a leaders role to create cadence and communications is no different. Have you discussed this topic with your team? 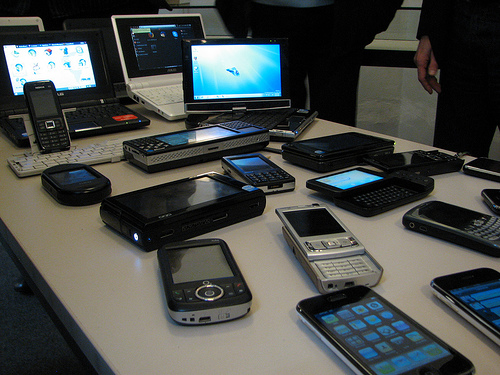 Technology – If the majority of the product management team or company is using IM, texting and collaborating online, and you’re expecting email and voice mail from them, you have an issue. Brian shared, “I’ve trained folks that I ignore vm (voice mail) and live by SMS, DM (um that’s Direct Messages for the non-Twitter crowd), SHORT email…or (!) face to face! I can set a stop watch by his return SMS or call. My wife doesn’t understand how I get such as quick response. However, I know what technology he’s adopted, I know the language he speaks (3000+ text a month) and the credit hours he carries each semester. I also pay his tuition. We understand each others needs. So, what’s the net?. If you want to improve communications and collaboration as a product management leader, you have to listen and stay connected with what your team is using and doing. If you’re resisting change, or want your team to adopt methods and technologies you use, it may be a quiet riot, so think again. You need to get on board, buckle up, hold on and sign in with your team. And Brian, where ever you pick up this post, thanks again.